March 10, 2013 |Justice for Iran (JFI) a London-based human rights organization is calling on international bodies– specifically the European Union, the U.S. government, and all countries committed to the promotion of human rights, to use political and diplomatic means to pressure the Islamic Republic to end the persecution of Bahá’ís. JFI has also urged world authorities to sanction individuals in Iran who have been directly involved in the gross violation of the rights of the Baha’is. In a comprehensive report released today, JFI has profiled 15 Iranian official and semi-official rights violators. Their names are: Mohammad Qasem Ein-al-Kamali, Abbas Alizadeh, Seyed-Reza Mousavi Tabar, Masoud Velayati, Asadollah Jafari, Asghar Zarei, Hakam Ali Najafi, Seyed Jalaleddin Tabatabaei, Seyed Morteza Nourbakhsh, Mohammad Ali Najafi, Seyed Hassan Firuzabadi, Seyed Mohammad Reza Mavalizadeh, Hossein Shariatmadari, Hamid Reza Moghadam Far, and Meysam Nili. The comprehensive report also provides information on severe rights violations that the Baha’i community as a whole has been facing in Iran for more than five decades. According to sources, since 1979, more than 180 Baha’is have been executed by IRI authorities. In May 2011, IRI authorities raided the homes of Bahá’ís associated with an informal community initiative, known as the Bahá’í Institute for Higher Education (BIHE). Numerous Bahá’í educators were arrested and issued heavy prison sentences. They are currently held in various Iranian prisons. 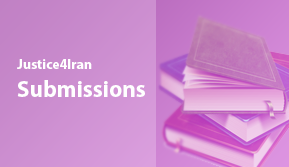 Additionally, many Baha’i students are banned from enrolling in Iranian universities and some are imprisoned for appealing for their fundamental rights. Shadi Sadr, the Executive Director of JFI states, “This is the first time that a rights organisation has researched on the perpetrators of systematic violations against the Baha’i community. However, the perpetrators are not limited to the individuals listed in this report. This is an initial list, and we will continue to identify more violators until the state policies on persecution of Baha’is are replaced by their recognition as a religious minority entitled to basic human rights.” Furthermore, JFI has urged United Nations bodies to consider impunity of rights violators as a cross cutting issue in Iran. 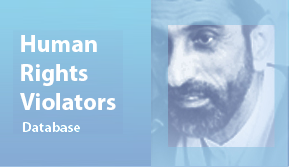 To see the report ‘Putting a Face to the Crime; Islamic Republic Figures Responsible for the Persecution of Bahá’ís in Iran’, click here. The Farsi translation is available here.